The narrowest section of the wheel when measured from the inside is about 12.5". Also, your disc kit comes with a master cylinder. I just put a new one in, thought the reservoires are the same size. Do I actually need a new MC? Re: What is the difference between a disc brake wheel and drum wheel? Another post, to unlock "picture posting power"
The disc brake wheels are very "square" on the inside with the drum brake wheels being angled by the wheel mounting flange. All the factory S80/800 15" and 16" wheels won't work with the disc brakes. The disc brake master cylinder has a larger reservoir for the front brakes as well as no residual pressure. We recommend replacing the master cylinder to the disc brake version. Thanks. 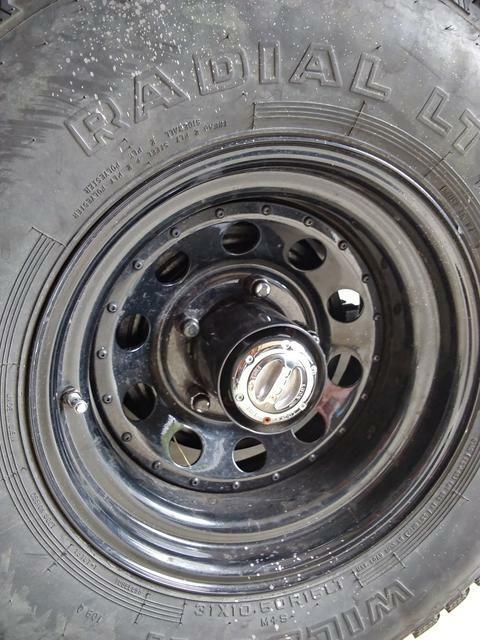 @Michael - I found some images of the stock wheel online and I see what you mean. I do not have stock wheels so may be in luck? The inner diameter of the narrow section of the wheel (where the ring of rivets are) as measured from the inside is about 12.5"
Are there any additional measurements I need to check to know if this 15" wheel will work with the disc brakes? If directly above the brake drum area is 12.5" in diameter, then it won't fit over a caliper. If that measurement is more over the wheel mounting surface and it gets larger over the drum, then you should be fine. Thanks.